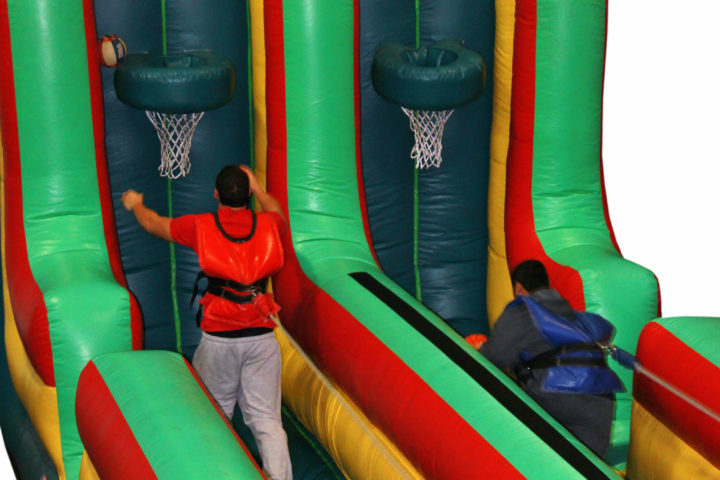 A slam-dunk theme for your next basketball fundraiser. If we’ve said it once, we’ve said it a million times: the best events come from a clear and compelling vision. When a vision informs the theme, and not vice-versa, parties are more pleasant, gatherings are more gleeful, and meetings are more meaningful. 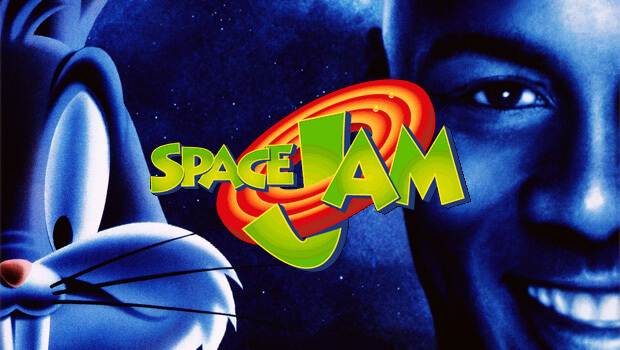 Believe it or not, a Space Jam theme is a creative event idea that came to us from a vision for impact. Raising funds for a nonprofit like YMCA, the Boys and Girls Club, or Hoops for Hope is compelling in its own rite, but that doesn’t mean the occasion needs to be boring! 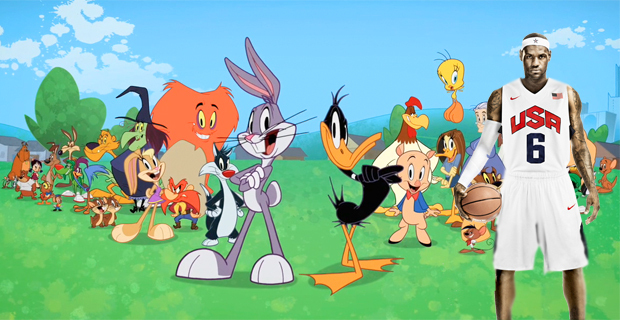 So what does a Space Jam theme deliver? Two things. First, a beloved set of characters and a vibrant set of colors for decor. But second, basketball! Basketball challenges make excellent fundraisers. Participants solicit donations in advance for every hoop they make, with all proceeds going to charity. Attire: it’s a team thing. 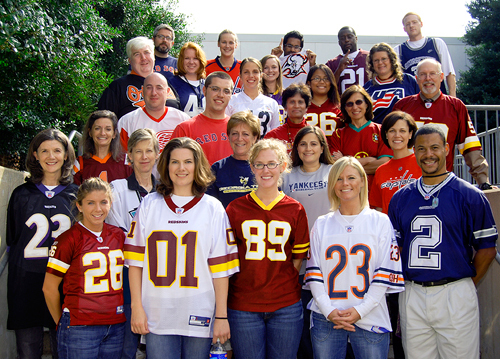 Invite participants to dress in their favorite team’s jersey. Everyone loves supporting their hometown heroes while having a good time! Basketball doesn’t have to be entirely familiar. Take the classic childhood favorite of Connect Four to the next level with this fun new inflatable sports game. 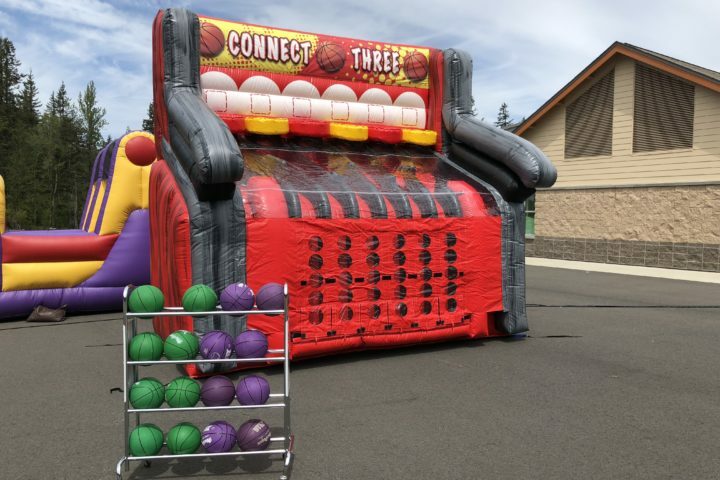 Get ready to have guests use their Connect Four skills in a head to head basketball shoot out. The Classic Bungee Run Game with an added twist. Run the lane and try to make a basket at the end. Great Competitive fun for bragging rights. 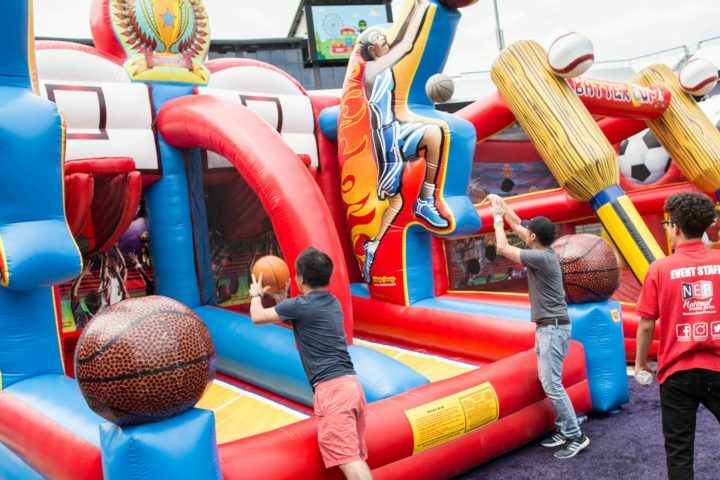 Shooting Stars is an inflatable basketball game with dual hoops. 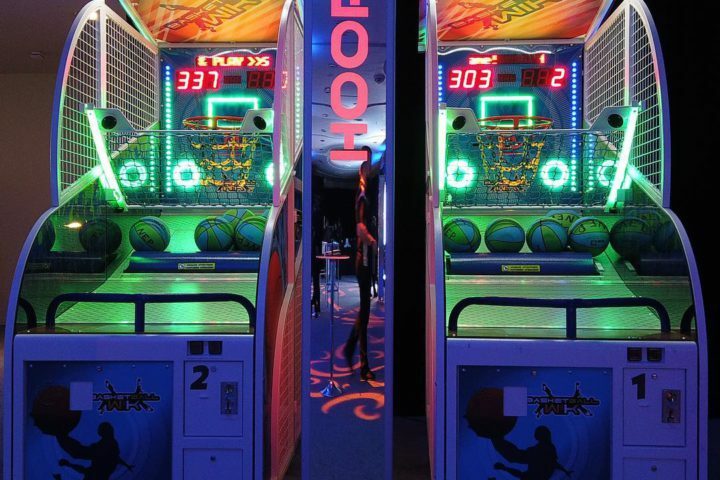 Need to practice your jump shot? You can compete with a partner or play alone. Either way it's fun! Great party rental for events. When it’s time to feed your hungry players, cookies decorated like basketballs will bring some festivity to the taste buds. Is your crowd more of the game watching type rather than playing? Have a room of TVs to watch various games or play basketball video games. Decorate your space with oversized basketballs, basketball team paraphernalia, and even basketball-shaped ice chests. Give out trophies! We all love to be celebrated.